New to Mizzou? 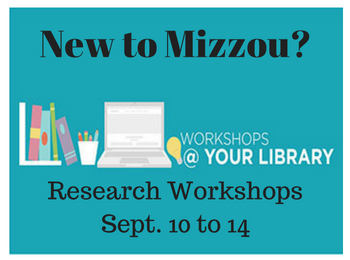 Learn about our library and the research process at five one-hour workshops designed just for you! All workshops are held from 3:15 to 4:15 p.m. in 4D11 Ellis Library. No registration required.